While all three are good units, we really like the Micro-Pro. 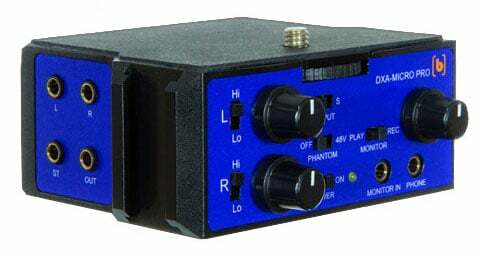 In fact, our Professional kits now include the Beachtek unit instead of the unit from Microphone Madness. The Micro Pro is a stereo unit and works with both 3.5mm microphones that require “plug-in power” AND XLR microphones that require “phantom power.” This allows our Equalized XLR microphone, which provides the best possible audio, to be used with a Sound Shark. This provides a very convenient, cost effective package that provides great sound for any DSLR. Even if you are using a camera with great audio quality, such as the Lumix GH series, the package will provide a more natural sound. 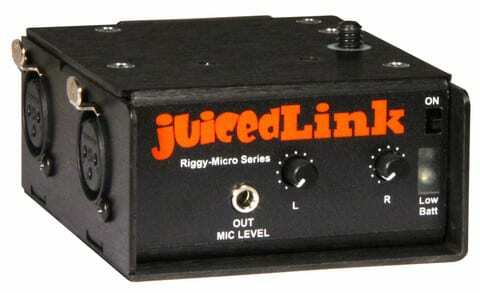 The JuicedLink unit is considerably more expensive and only works with XLR mics. I believe many of our customers would like to be able to use 3.5mm microphones on occasion as well. The Beachtek unit will allow you, for example, to record a Rode Video Mic on one channel and the Sound Shark with Equalized XLR mic on the other. This would be ideal for recording birds, or other animals, with the Sound Shark while using the VideoMic to record the narration. Another benefit of using a preamplifier that is becoming more apparent to me all the time is recording a “safety” track. This amounts to recording the same audio at two different levels. If one channel is set lower than the other, you have usable audio even if the audio level jumps unexpectedly. This can be a real lifesaver. An added benefit of using a good preamp, that was just pointed out to me recently, is that it allows audio to be monitored even if your camera does not have a headphone jack. I don’t know how many modern cameras don’t have a headphone jack but they are out there.